Released in late 2018, the latest Tile Pro distinguishes itself with a replaceable CR2032 coin cell battery, a slimmer profile, a larger key loop, and a look resembling the company’s old Tile Sport. It also supports a greater range of 300 feet (up from the previous distance of 200 feet). Tile's premium tracker lives up to its claims nearly spot on: When put to the test in a nearly 500-foot office, the Tile Pro petered out when placed more than halfway across the room. We also could easily hear it ringing at nearly 200 feet away, the range listed by Tile. Pairing the Tile Pro is fast and straightforward, and comes with the ability to name the device based upon what it's tracking (e.g., “keys”). Afterward, you can use the Tile app to activate the Tile Pro’s ringer and locate it. If you're out of the Tile Pro's range, the Community Find can help locate it. When a tracker you've marked lost or stolen comes in contact with another on the network, you’ll get a notification and the last seen location of your tracker. It's simple to do, and works as advertised: While walking around with a “lost” Tile Pro on the streets of London, it came in contact with other trackers two different times. 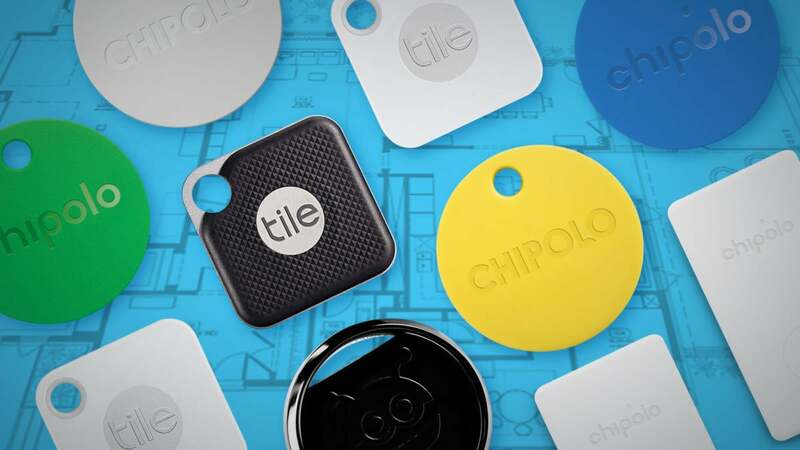 Competing Bluetooth trackers offer a similar feature, but none are as popular as Tile's—the company says it's sold more than 10 million trackers. Many aren’t active today, but overall, a Tile Pro still has more devices it can come into contact with. If you want the best chance of finding your lost belonging, it'll be on Tile's network. 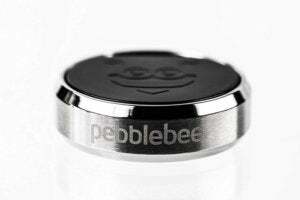 In looks, the Pebblebee Finder is hard to top. Thanks to its metal outer ring, the Pebblebee Finder feels sleeker and more discreet than rivals like the Tile Pro or Chipolo Plus, though it is heavier. The Finder also puts up a strong show in performance. It delivers on its 200-foot range, which matches that of the Chipolo Plus and outdoes the Tile Mate by 50 feet. Its ringer volume is loud enough to hear around the house, too, though the Chipolo Plus and Tile Mate edge it out. Pebblebee's app is full-featured, with a color-coded range finder to show you the distance of your finder. Like Chipolo and Tile, Pebblebee also has a feature to find a tracker marked as lost called CrowdGPS. If your lost Pebblebee comes in contact with another on the network, you’ll get a notification of its last known location. Note, however, that Pebblebee is nowhere near as popular as Tile, so there's a lower chance of coming in contact with another Pebblebee. When I walked around London with the Pebblebee switched to “lost,” I didn’t come in contact with anyone else on the network. Balancing that is the Pebblebee Finder's one killer feature: its “Left Behind” alert. If you fall out of range of your Pebblebee for 10 minutes, it sends you a push notification and can even vibrate or play a ringtone that you've selected in the app. Overall, the Finder stands up well against its cheaper rivals, like the Chipolo Plus and Tile Mate ($30). But if you can spend another $5, you may want to consider a Tile Pro, which has a longer range (300 feet) and a louder ringer. The Tile Pro also has an easier method for replacing its replaceable CR2032 battery—the back just slides off, while the Pebblebee Finder requires a screwdriver. 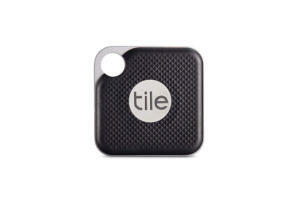 As Tile's more affordable Bluetooth tracker, the Tile Mate isn't as durable or loud as the Tile Pro. However, it gets the job done just fine. The latest version comes with both design and under-the-hood improvements: It's ever so slightly bigger to make room for the replaceable battery and three rear speaker ports. It's also louder than the previous model, and comes with an increased range of 150 feet, up from the previous distance of 100 feet. (This notable improvement is still only half of the distance of the Tile Pro, though.) When I tested the Tile Mate in a roughly 450-foot long office, the Tile Mate spluttered out right around 150 feet, matching its advertised specs dead-on. While the Tile Mate isn't as loud as the Tile Pro—the latter is advertised as three times louder than the Mate—it's definitely loud enough if you’re just walking around your house trying to find a set of lost keys. I could hear the light beeping of the Tile Mate from about a quarter distance away in that same 450-foot office. Tile's app is the same for both the Tile Mate and Tile Pro: You get the same straightforward interface that includes the Community Find feature, which helps you hunt for an out-of-range tracker. When a tracker you've marked lost or stolen comes in contact with another on the network, you’ll get a notification and the last seen location of your tracker. 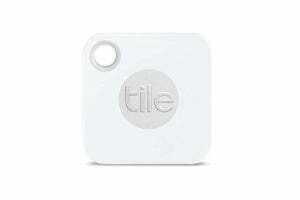 Given how popular Tile's trackers are—the company says it's sold more than 10 million—you'll have the best chance of finding your lost belonging on Tile's network. That makes the Mate a good option for those on a budget and worried about hunting down missing items. Of Chipolo's three Bluetooth trackers, the Chipolo Plus leads the pack. Its distinguishing features include water resistance, one-year battery life with a battery replacement program, and a 100db volume. This tracker's strengths are that it's small and affordable, and it offers a feature that other trackers don't: Pressing down on the Chipolo Plus causes your smartphone will ring, allowing you to find it. Chipolo's app is also minimalist and simple to use. You can easily see the locations of your Chipolos and trigger them to ring from the app. 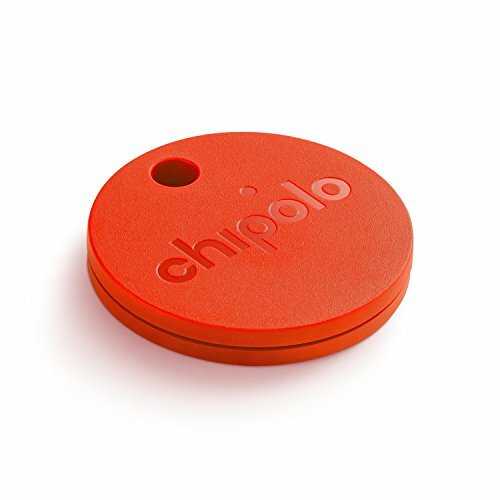 Though Tile has sold millions more trackers than Chipolo, my “lost” Chipolo Plus still came in contact with one other tracker when I walked around the busy street outside our London office. Despite its solid performance, the Chipolo Plus can't best its strongest rival, the Tile Plus. When pitted against it, Chipolo's main weak point is its shorter range. Its stated distance of 200 feet is 100 feet less than that of the Tile Pro, which bears out in real-world performance. During our tests, it went out of range at a little under half the length of our roughly 450-foot office. It's also not as loud as the Tile Pro. But if you care about cost and style—the Chipolo is available in six different colors, while its rivals have just a few color selections at just—you'll want to buy it instead of other options. 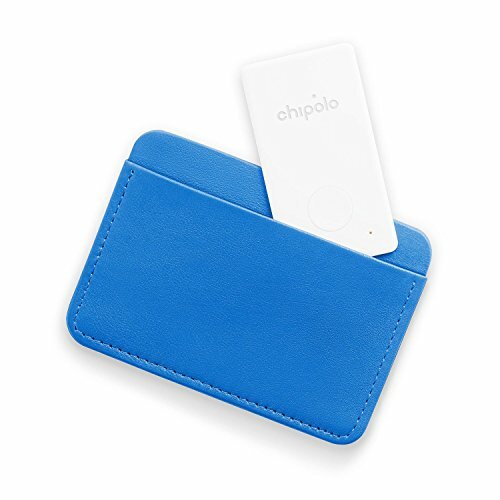 If you often misplace your wallet, then the Chipolo Card may just be the right Bluetooth tracker for you. Unlike the Chipolo Plus and other rival trackers like the Tile Pro and Pebblebee Finder, this flat, rectangular gadget won’t leave an uneven bump if you slip it into a card slot or folio. You will trade some performance for aesthetics. While the Chipolo Card has similar performance to the Chopolo Plus in terms of range (which works at up to its stated 200-foot distance), it's not as loud as the Chipolo Plus. I could hear our tracker from 50 feet away, but after 100 feet, the beeping sounded very light. This tracker does have a feature unique to it and other Chipolo devices: You can press its button to locate your smartphone, as it'll cause your phone to ring. Overall, the Chipolo Card works well for keeping tabs on a wallet or a folio, but better-performing options do exist. How appealing it is will depend on how much its form factor matters to you.